BlackBox, a new technique in functional training is creating ripples in the gym world with a varied basic athletic workout. BlackBox is an unusual set-up of like-minded people who love to indulge in some focused training. If you’re looking for some balance, strength development and overall fitness, this is the space to check out. 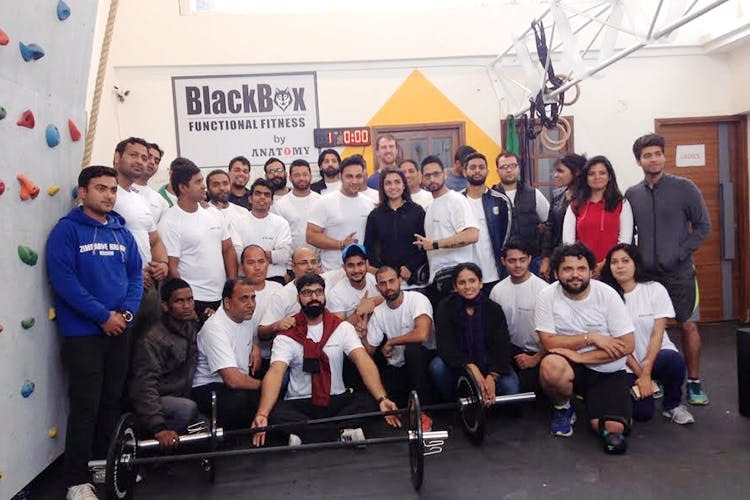 According to the founder, the name BlackBox emerged from the idea of everything being either black or white; no painted gym walls that you usually find. This helps one concentrate on their workout better. Who Should Try This Out? We would say anyone who loves to be fit, but since we love specifics, we would say BlackBox is for someone looking for balance and symmetrical appearance. If you’re mighty bored of working out in a regular gym and are ready to learn some new, intensive movement, this one’s for you. Apart from that, if you’re looking for weight gain/loss, strength and stamina building, or even trying some step-up height-based jumpy movements, you’re looking at the right folks. Wait, What’s The Workout Like? These guys do overall balance programming where they include split routines to target specific body parts along with some intense functional training sessions. They also use black coloured boxes to do some crazy step-up height related movements. The session lasts for an hour usually. They also have a functional rock climbing wall which is also used during the workouts. You can head to Anatomy at SDA and find them on the third floor doing some amazing and daring functional training exercises and making people look awesome!